PT Pumarin. 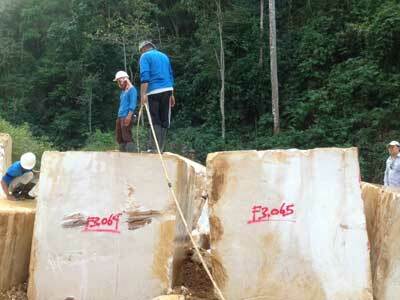 has two marble quarries in Citatah Village, Padalarang West Java namely : Meyud and Sanghyang quarries. 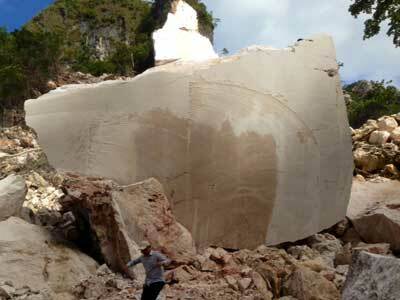 The Meyud quarry can provide 6,000 m3 of Marble Blocks or 72,000 m2 of Tiles and Slabs annually. Whereas the Samghyamg quarry is dedicated to support the company in producing Calcium Carbonate products in the near future. High Technology Drilling equipment, Excavators, Air Cushions, and massive Cranes as well as a solid team of experts, committed employees, professionals are provided consistently in order to explore quarrying process effectively.